This is an electronic product. After purchasing you will receive it via e-mail. 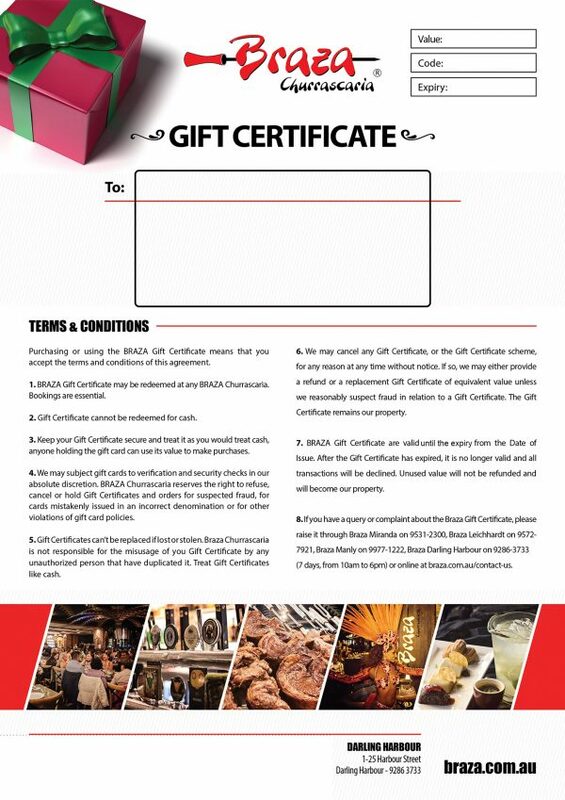 Purchasing or using the BRAZA Gift Certificate means that you accept the terms and conditions of this agreement. 1. 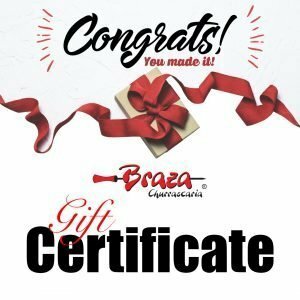 BRAZA Gift Certificate may be redeemed at any BRAZA Churrascaria. Bookings are essential. 2. Gift Certificate cannot be redeemed for cash. 3. Keep your Gift Certificate secure and treat it as you would treat cash, anyone holding the gift card can use its value to make purchases. 4. We may subject gift cards to verification and security checks in our absolute discretion. 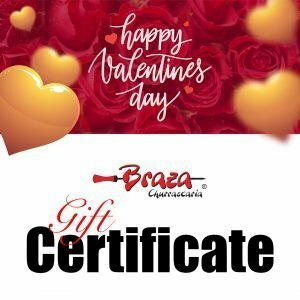 BRAZA Churrascaria reserves the right to refuse, cancel or hold Gift Certificates and orders for suspected fraud, for cards mistakenly issued in an incorrect denomination or for other violations of gift card policies. 5. Gift Certificates can’t be replaced if lost or stolen. 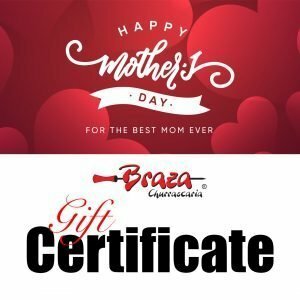 Braza Churrascaria is not responsible for the misusage of you Gift Certificate by any unauthorised person that have duplicated it. Treat Gift Certificates like cash. 6. We may cancel any Gift Certificate, or the Gift Certificate scheme, for any reason at any time without notice. If so, we may either provide a refund or a replacement Gift Certificate of equivalent value unless we reasonably suspect fraud in relation to a Gift Certificate. The Gift Certificate remains our property. 7. BRAZA Gift Certificate are valid for 6 months from the Date of Issue. After the Gift Certificate has expired, it is no longer valid and all transactions will be declined. Unused value will not be refunded and will become our property. 8. 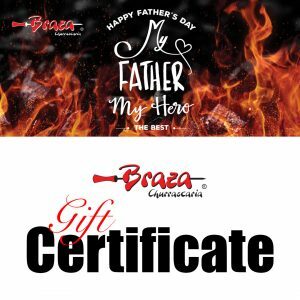 If you have a query or complaint about the Braza Gift Certificate, please raise it through Braza Miranda on 9531-2300, Braza Leichhardt on 9572-7921, Braza Darling Harbour on 9286-3733 (7 days, from 10am to 6pm) or online at braza.com.au/contact-us.